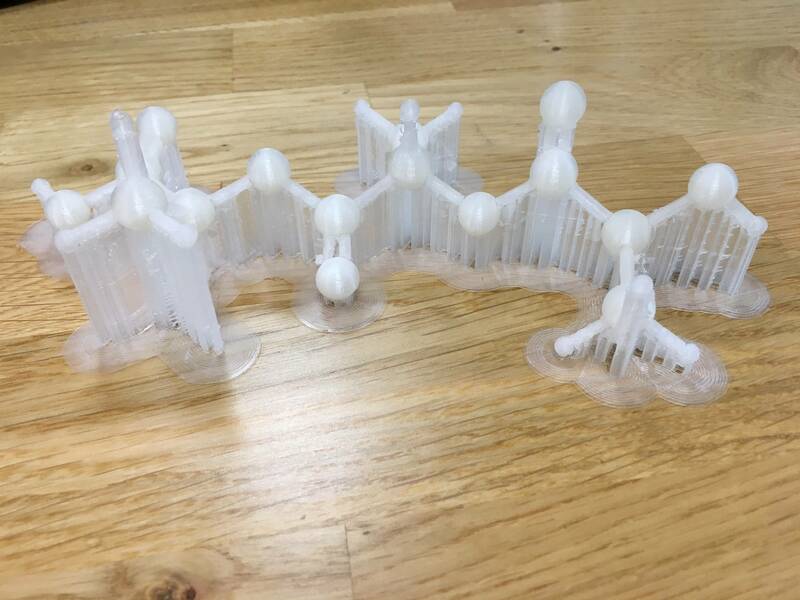 I created and printed a 3D model of a polylactide polymer (3 monomers) out of PLA (or polylactide) as a fun project to make myself familiar with 3D printing. 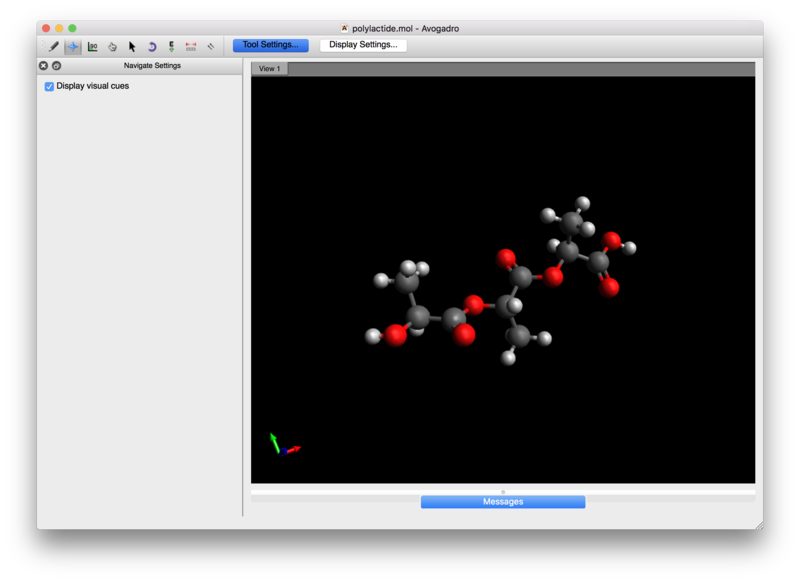 To create the .mol file of polylactide I decided to use the easy-to-use website MolView. 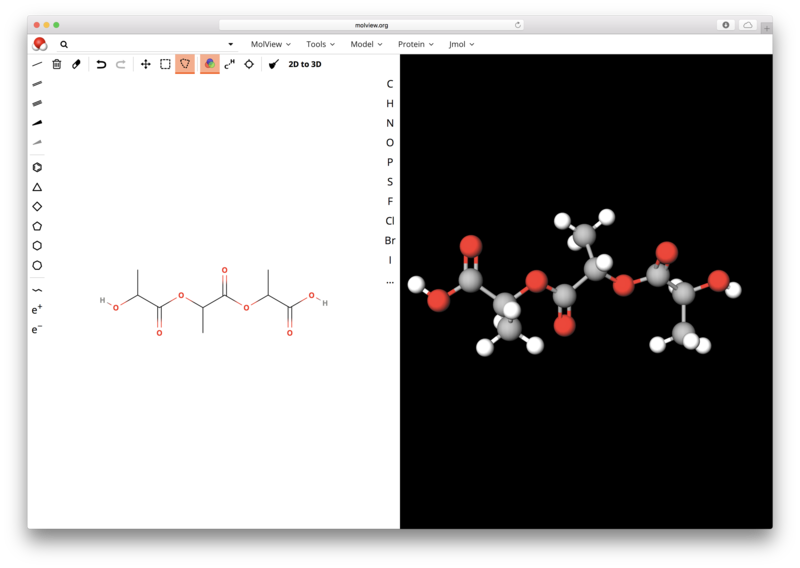 Simply write the line model of your molecule using the tools on the left and click 2D to 3D to preview. Finally choose Tools > MOL file to export the molecule as a .mol file. I chose to use Avogadro for this. Simply import the .mol in Avogadro and select File > Save as... (not export!) and choose .pdb as the format. I used the free 3D modeler Blender for this. 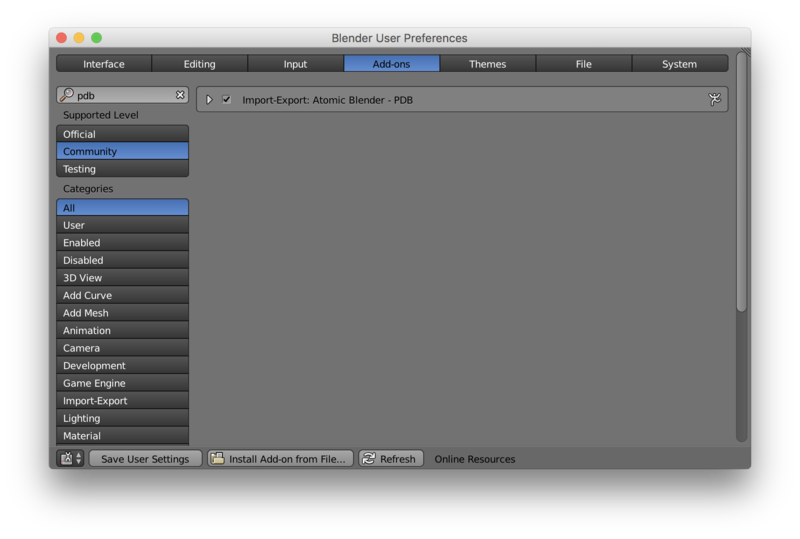 Before you can import .pdb files in Blender, you'll have to enable the Add-on for it. Go to File > User preferences > Add-ons and search for pdb. Make sure that Community and All is checked and check the box next to the Add-on. Now go to File > Import > Protein data bank and select your .pdb file. Make sure you use these import settings. 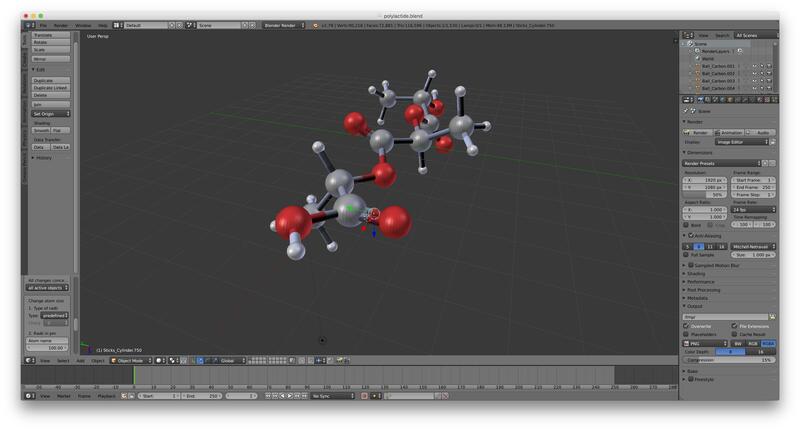 For some reason the double bonds weren't showing up for me, so I just added them manually after import. Finally export the model in the format of your choosing. .stl works with most printer software, but I had to use .x3d because the .stl wasn't loading correctly. I used an Ultimaker printer so I went with Cura. 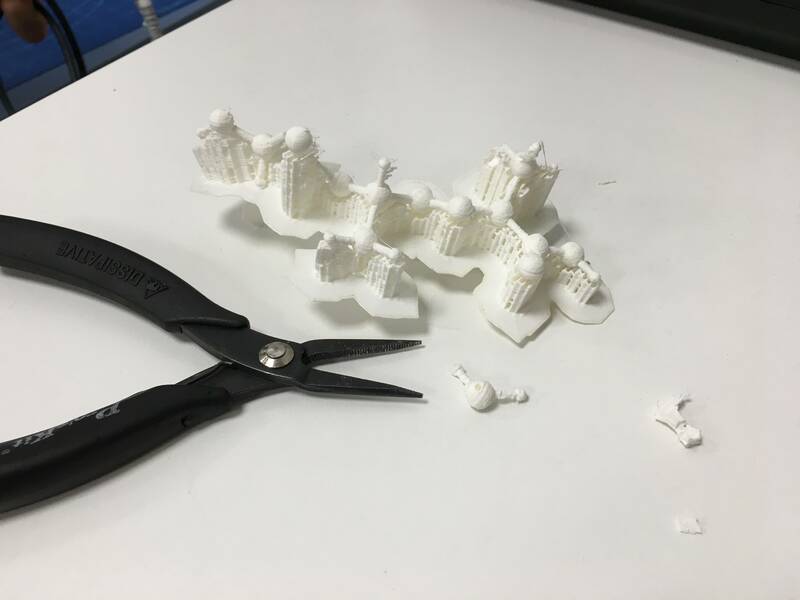 Open the model file in Cura and customize the size to your liking, but make sure it's big enough! My first try was with a length of about 10 cm, which was way too small and brittle. 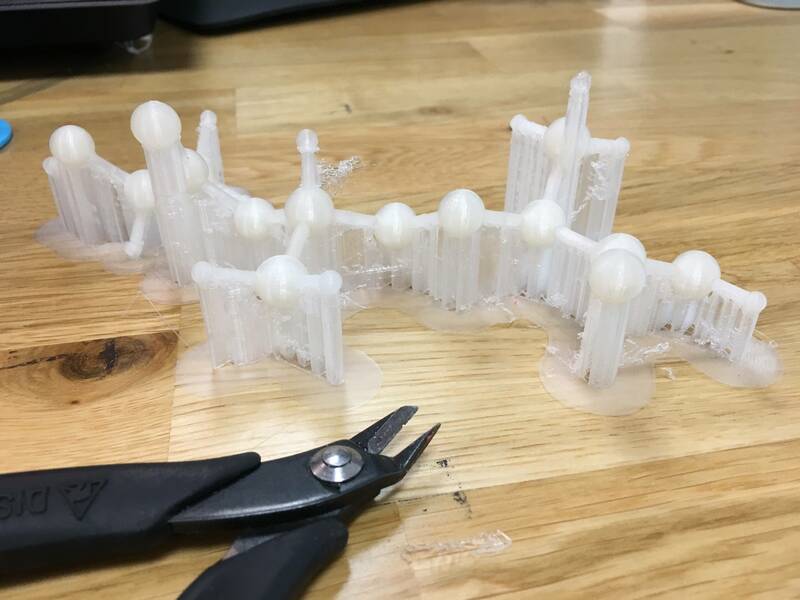 I doubled the size and used semi-transparent PLA on my second try. Remember to lay your object flat and choose 100% infill. Support is definitely necessary. Originally I planned on removing the support but it proved rather difficult and the model looks pretty cool like this too. So I just removed the leftover gunk and ended up with this. Getting familiar with 3D printing and a fun pun.